Katipunan has always had, and continues to have, a special place in many students, families, and groups of friends’ hearts. Aside from the comfort and nostalgia this road of long-time favorites brings to many, it’s also the go-to avenue for curious foodies and hungry barkadas looking for something new to try. Today, we’ve got a list of relatively new, underrated Katip restos to check out on your next food trip! From starting out as a small, student-owned food stall from the Ateneo to now becoming its own independent restaurant along Katipunan, Tetsuo is definitely a successful food venture worth checking out. What’s the main reason behind its booming success? 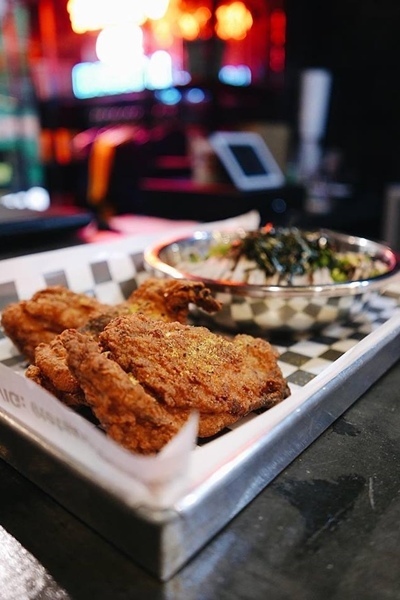 Their sought-after specialty: Signature Fried Chicken (P180/2pcs), made with buttermilk, spices, and served with nori rice and gravy. Truly their fried and joy! Their other Japanese-inspired comfort food dishes include Karaage and Soba (P190) and rice bowls topped with either beef, pork, or torched salmon. When your cravings for good Japanese and crispy chicken start calling, you now know where to go! Are your taste buds tingling for some good ‘ol fiery Mexican? 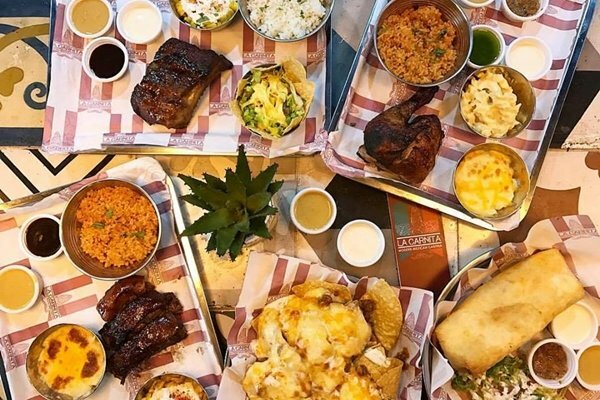 Gather your best amigas and amigos and get your modern Mexican quick fix at La Carnita, where filling and affordable bites are just a visit away! Your usual Mexican favorites can all be found here - from both soft and crispy tacos (P90), plain and meat quesadillas (P135-P160), to even burrito wraps (P185) and chimichangas (P190) - making it a go-to lunch or merienda spot for hungry students. Diners with a sweet tooth can also satisfy their sugar fix here with the irresistible Churros (P65) and Hot Chocolate (P85) pairing, any time of day. On a budget but craving for some meaty goodness? 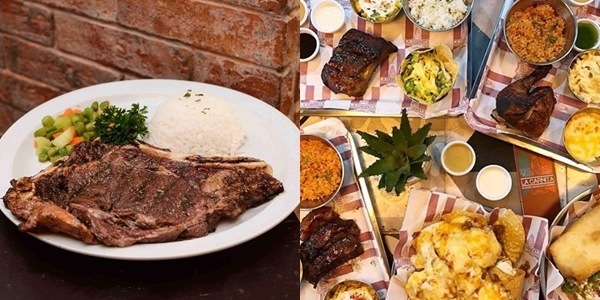 There’s no need for you to neglect those steak cravings, especially when there’s Brickfire, the meat-lover’s haven you just may be looking for, right along Katipunan, visiting here for your affordable dose of steak is never a misteak! Their student favorite steak set, the Cowgirl Annie (P189), comes in three flavors you can choose from, Original, Wasabi, or Honey Mustard, served with sides and gravy. 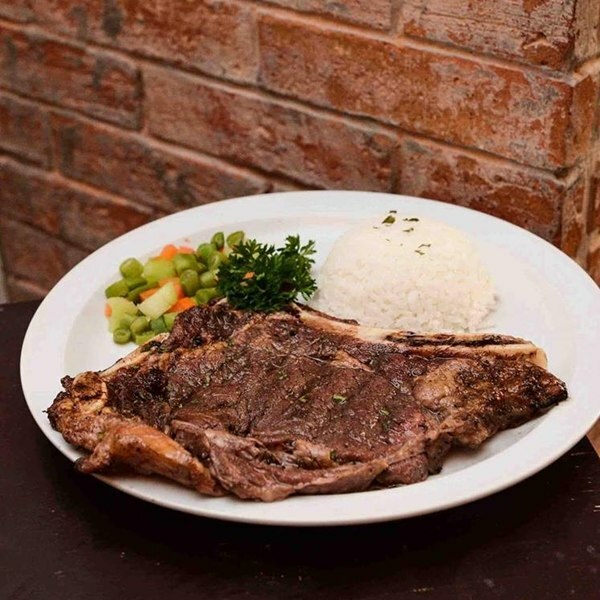 They’ve also got other notable meat offerings, like the 100% all-beef Bully Burger (P95), Porkloin Big Ribs (P275), and oven-baked Pork Chops (P119). It’s definitely a carnivore’s dream come true at this meat joint! With well-designed interiors, IG-worthy food presentation, an upscale yet cozy ambiance, and an array of comfort food choices, it’s no wonder Brown’s Gourmet has become a reliable resto choice for those searching for a gourmet dining experience within reach. 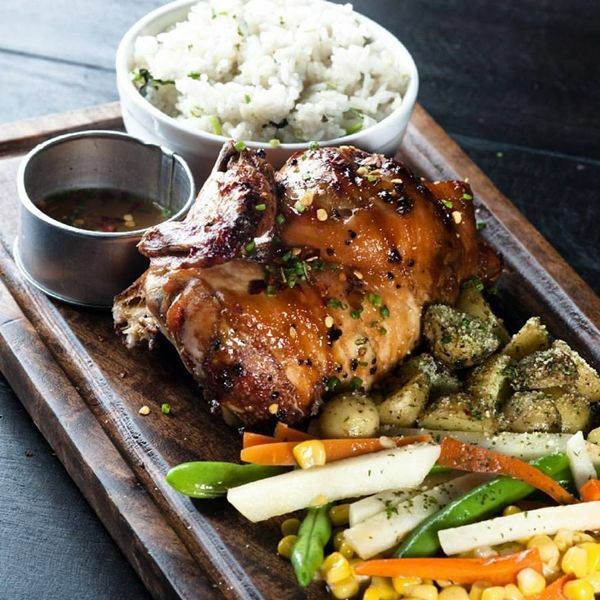 Specializing in FIlipino, Italian and American fare, many rave about their best-selling favorites, like the Perfect Plate (P250) of their famous roasted chicken, served with pasta and salad, the Salt and Pepper Pork Ribs (P195), the classic Fish and Chips (P225), and the Adobo Flakes Pasta (P180), among many others! They’ve also got a Filipino all-day breakfast menu plus soups, salads, and sandwiches to choose from, making their extensive menu perfect for any type of foodie. Have you spotted this Persian hidden gem unassumingly tucked along the streets of Katipunan yet? If you haven’t, we suggest you do so! 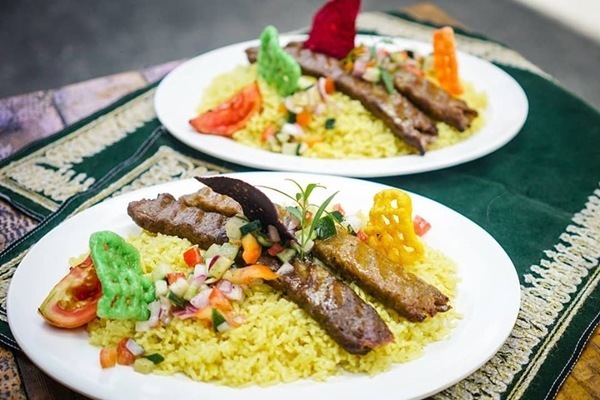 Halal Kabab Express pleasantly surprises adventurous foodies with its inconspicuous exterior yet wow-worthy menu of authentic Middle Eastern classics! Tide your hunger over with their filling Chicken Biryani Meal (P249), served with basmati rice, or with their shawarmas, Shesh Kabab rice meals, or Naan Wraps. 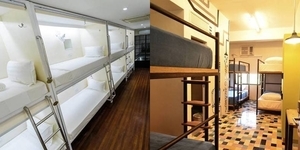 Or why not try each one with a group of friends? With their dishes born from the distinctly exotic flavors and spices of Persian cuisine, plus the value-for-money portions, this little dining hub has easily become a favorite among the hungry many. Who can say no to crispy, juicy chicken, paired with a tasty blue cheese dip? Apparently, not a lot of hungry students! Chubby Chicken has been around for quite a while, and for good reason. 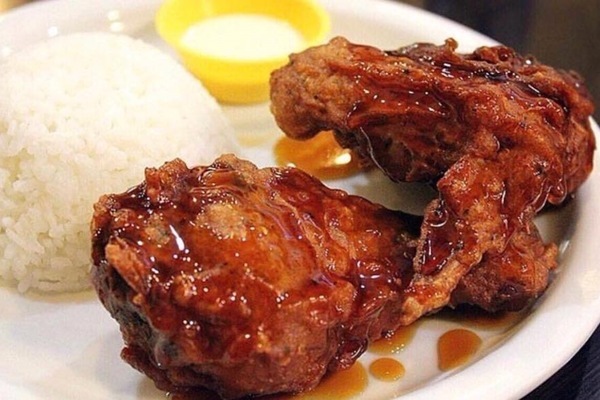 This humble resto has been serving quality fried chicken for years now, in both sweet or spicy flavors, for a budget-friendly price. Aside from their famous fried chicken, other crowd-loved dishes include Chicken Parmigiana (P183), Beef Salpicao (P183), and tender Chicken Strips (P140). They’ve also got a sinful dessert for sweet-crazed customers: Oreo/Twinkies/Twix/Snickers candy bars deep-fried in doughnut batter! Hungry yet? Like they say, there’s always room for dessert, and who are we to disagree? Whenever your sugar cravings kick in, drop by Salt Bakery and get that sweet tooth taken care of at this cute, artisanal bakery that veers away from the oversaturated commercial cake market. Whether it’s for a big get-together or for a quick solo sweet treat, their line-up of homemade cakes, cookies, brookies, bars, cupcakes and blondies is more than enough to satisfy. 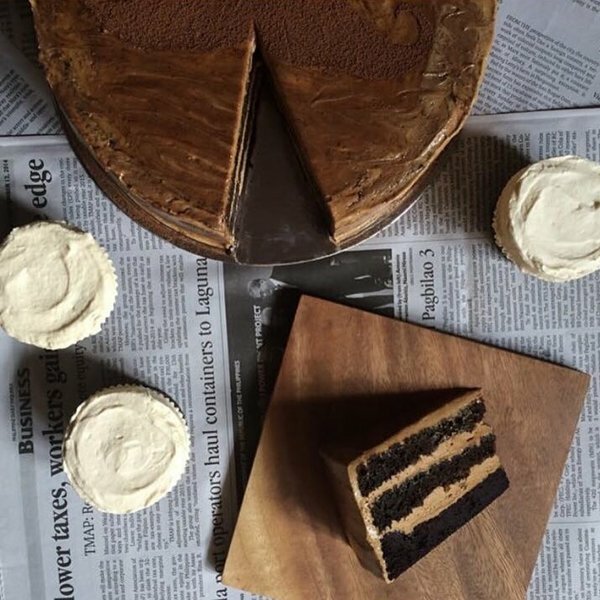 Their famous Tosi Cake (P125/slice; P1,200/whole), crack pie with buttercream, or the Half-Baked Cake (P135/slice; P1,350/whole) with cookie dough frosting, are a few perfect choices to make for a unique dessert experience. You can even order the Red Velvet White Chocolate Cookies or Butterscotch Revel Bars in boxes for sharing! If a good classic sandwich is all you need, then Joe’s Cheesesteak is the place to be; where melted cheese, tender meat, and crunchy bread all harmoniously come together to form sandwiches of delicious proportions. Although their menu offerings can be counted with one hand, a good selection needs absolutely no frills when the Cheesesteak (P100/half; P180/regular) exists, the main star of the sandwich show. For a spicy kick, feel free to add some jalapenos to your sammie! Other A+ sandwiches include the Cheesy Chicken (P95/half; P175/whole) or the Cheesy Tuna (P90/half; P160/whole), which also come in either half or regular serving sizes. 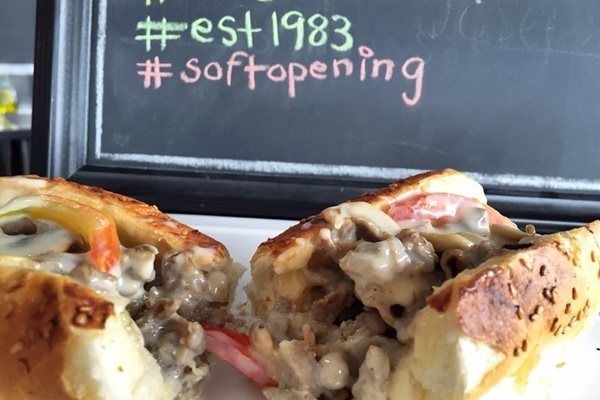 For a sit-down meal or for an on-the-go snack, this resto is the way to go!